* affiliate links; the blog receives a small commission from purchases made through these links. From the South three sisters fair ran athwart the gloom. Dressed of fur and fierce of tooth… the maidens of the moon. Jimmy Finn is having a real bad day. He woke up drunk and on the wrong end of a nightstick. He lost his job, and had to see his shrink. Now the cops are after him, he’s falling apart, and his only friend is a volatile drug lord. How could it get any worse? As smoke envelopes the city, he finds himself on the run, and out of time. He’s either losing his mind, or becoming a monster. Or maybe it’s both. Jimmy Finn has one last hope. A long-buried family secret, lost above a mysterious town in the mountains, full of bizarre shadows and a strange girl that haunts his memories. I love urban fantasy and werewolves so I expected to enjoy this book. I didn't love it and I'm not sure I'll re-read it but it was different, not the usual werewolf story. 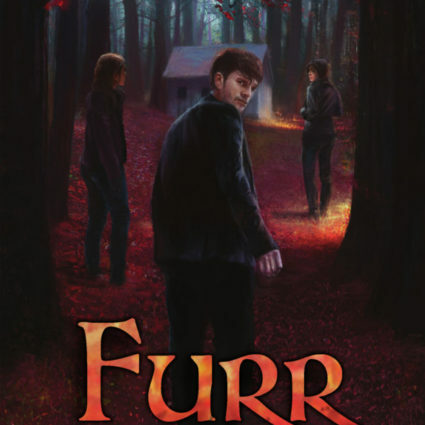 "Furr" is dark, angsty, and features an anti-hero who is light on redeeming qualities. The origin story was different, not one I'd read before and had me wanting to pull out my Irish mythology books to see if he bases it off them or created it whole out of thin air. The story itself I powered through, not because I was invested but because I'd promised to review and I wanted to get it read. The writing was a mix of gritty and real mixed with literary pretensions, urban fantasy, and romance. Howerton was slow to reveal information, doling it out in tiny pieces. Instead of luring me in, it just made me impatient and wishing he'd just get on with it. Sadly, I never really cared about Jimmy Finn or any of the others. It didn't matter to me what happened, who survived, and who got a happy(ish) ending. If you like dark and gritty, want a werewolf story that's different, and don't mind the literary pretensions, this might work for you. Thanks for taking the time to comment. I enjoy hearing from my readers. Let's talk! By clicking on the links below and making a purchase, you enable this blog to receive commissions which in turn are used to support this blog and sponsor giveaways. Words at Play - A Fun Look at Language, Word Histories, and more. Share book reviews and ratings with Bea , and even join a book club on Goodreads. Get a Boston, MA Public Library Card! You don't have to live in Boston! Click now! Statements and opinions expressed in reviews, discussions, and other posts on this blog are those of the reviewers here at Bea's Book Nook, unless otherwise indicated. Authors, publishers, and tour companies may send us digital or print ARCs or finished copies in exchange for our honest reviews; reviews will declare the source. Purchases made through buy links help to support this blog. Copyright Information © Bea's Book Nook 2010-2015. Images, text, and designs from this site may not be copied or reproduced without written permission. Authors and publishers may use parts of reviews for quotations, provided that full and clear credit is given to Bea's Book Nook, with appropriate and specific direction to the original content. Please email us to let us know if you use a quote. Blog Design by Parajunkee. Powered by Blogger.